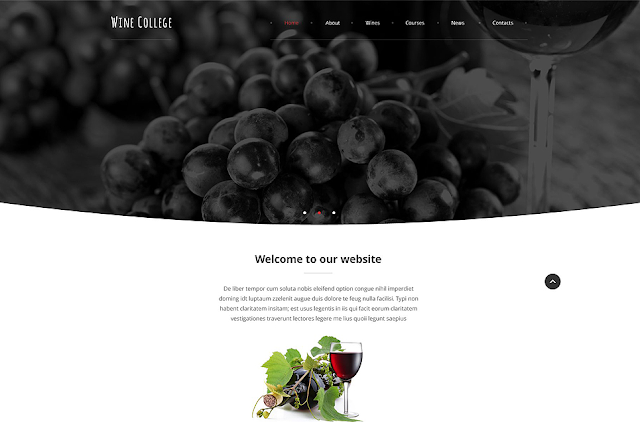 This responsive winery web template is recommended for everyone who wants a modern looking interface for a website. Spiced with red hues, its design combines dark toned imagery with light content sections. Alternating with each other, they make it much easier for visitors to perceive the information of your web resource. Header and footer are outlined with an arc, which will add a contemporary touch to the online image of your company. The theme also features a mobile-friendly dropdown menu to provide comfort for users of smartphones and tablets. By means of a pre-built contact form, customers will easily get in touch with you.